Kirkland Ciccone with Angus and Brian. Author, Kirkland Ciccone, visited Our Lady’s on Friday 22nd November, to discuss his life, his love of books, and his novel, Conjuring the Infinite with 3rd year pupils from the English Department. 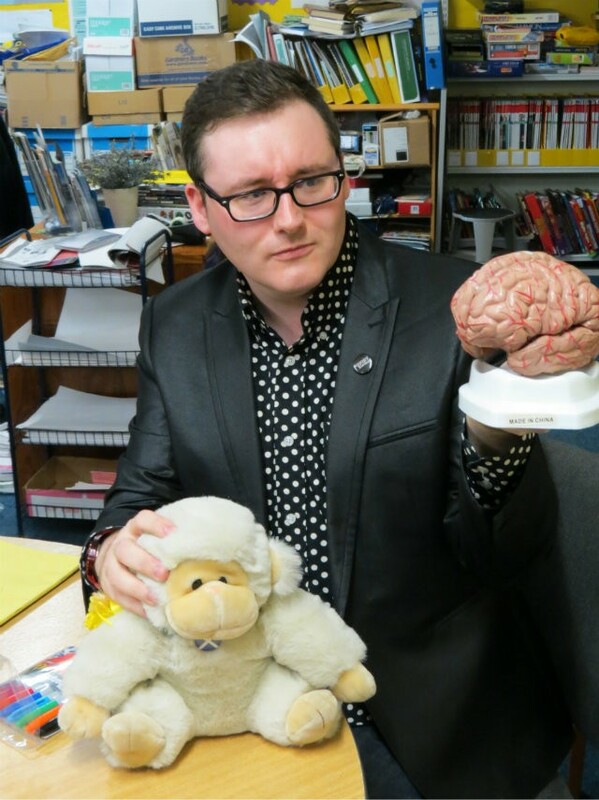 Kirkland, a North Lanarkshire lad himself, kept the class giggling at the more surreal elements of his existence, before explaining how he became a published author, and why the class should vote for Conjuring the Infinite to win the Catalyst Book Awards. Before leaving, he staked his claim to becoming one of their favourite authors by signing everything put in front of him, and even allowing each pupil choose their own colour! Thanks to School Librarian, Mrs Macfadyen, for arranging the visit, and to Miss McGhee for the loan of 3rd year for the afternoon. This entry was posted in 3rd year, Creativity, Dept: English, Library Resource Centre, Literacy, Visitors and Speakers and tagged authors, Catalyst Awards, Kirkland Ciccone, Live Literature Funding, Scottish Book Trust by Jennifer Macfadyen. Bookmark the permalink.